Laser eye surgery is a positive investment in your life – you no longer have to rely on those pesky contacts and glasses! 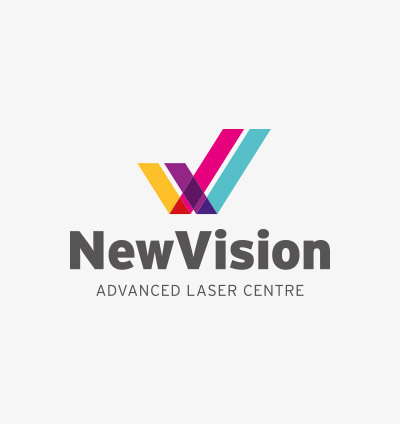 At New Vision Centre – Advanced Laser Eye Clinic we have over 20 years of experience with laser surgery. Our aim is to provide safe effective surgery at an affordable cost. We have a suite of laser eye surgical procedures at very competitive rates. Laser refractive procedures in Perth usually cost around $3,300 per eye for a bladeless procedure, however, at New Vision Laser Eye Clinic we have a solid state advanced laser, which means lower maintenance costs and no expensive laser gases, allowing us to offer laser eye surgery at a lower price of $2,950* per eye. During your procedure our Pulzar 213 tracking laser delivers tens of thousands of spots with accuracy and precision to safely deliver a result of the highest standard. You will be pleased not only with your result but also with our laser eye surgery costs. NB: Suitability depends upon refractive error, the health of your eyes and any unique individual requirements . Please contact us directly if you are interested in laser eye surgery costs. See us at the New Vision Centre Advanced Laser Eye Clinic for your assessment and to answer any questions you may have. We are confident that our TEMLA laser eye surgery will positively change your life! So why not book now for a consult with the surgeon? If you are considering laser eye surgery and would like to find out more about laser eye surgery costs, then please call us on (08) 9382 4455. * for people who are medically suitable, not to be used in conjunction with any other offers. The HBF Ultimate Hospital and Extras Cover now provides a full rebate for your TEMLA laser eye surgery costs – the best deal in WA! Usual waiting period terms apply, but you also have all the other benefits of the cover as well. When you do your sums this is a very attractive package, have your laser surgery for both eyes for less than $90 per month outlay – consider upgrading or switching now. At New Vision Centre Advanced Laser Eye Clinic have a number of vision correction procedures, and one of the most frequently asked about is LASIK surgery. With the growing popularity of Lasik eye surgery we have received many requests from patients about the cost of Lasik surgery in Perth. Lasik eye surgery procedures usually cost around $3,300 per eye depending on your personal circumstances. However, at the New Vision Laser Eye Surgery Clinic, our state of the art solid state laser reduces our overheads and allows us provide safe, high quality, TEMLA laser eye surgery for the best value. So we can pass the savings on to you as our TEMLA costs are lower than Lasik surgery costs. For those suitable for TEMLA, laser eye surgery costs $2,950 per eye, much less than LASIK eye surgery. If you are concerned about the Lasik eye surgery cost, TEMLA may be for you. We have a range of financial solutions for laser eye surgeries such as TEMLA and LASIK which make it easier to spread the surgery cost over 24 months. Many in Perth have achieved great results with TEMLA laser eye surgery. Unlike LASIK costs, TEMLA costs are more affordable whilst safely providing the same great outcome for those suitable. New Vision can also provide you with easy interest free finance solutions. The lower cost of TEMLA means smaller monthly repayments. Visit the GEMVISA website, www.gemvisa.com.au and apply for a card which takes about 90 seconds for approval. Bring your new account information and your driver’s license with you to our office and we will call GEMVISA and ask for a 24 month interest free plan for you. They supply an authorization code and it’s all done! For more information about the cost of LASIK cost versus the cost of TEMLA at the New Vision Centre, or to book an appointment, contact us today on (08) 9382 4455.
zipMoney is a simple and secure way to pay for your treatment with New Vision over time. With no deposit, full coverage and 0% interest for 24 months, all you need to do is click here to apply. With zipMoney, you can enjoy buyer protection on your surgery, with no credit card numbers, supported by the same encryption services as the big banks. The zipMoney offer comes with a one-off sign-up fee of $49 for a single eye or $199 for both eyes, with your finance approval itemising the requirements for minimum monthly repayments. This is a flexible finance option for your surgery, with a simple 3 minute application process and fast approvals to speed up your treatment process. You must be an Australian resident, 18 years or over and have a job to apply.